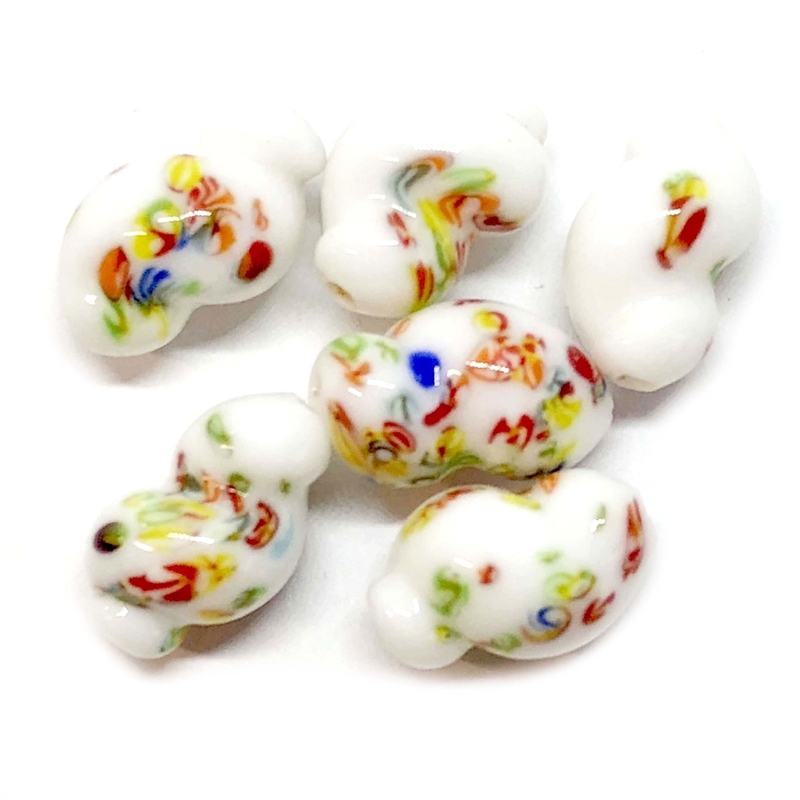 Chalk white twisted oval tombo glass beads, glass twisted oval beads, beads, jewelry making, rare Cherry Brand. Measures 14 x 9mm. 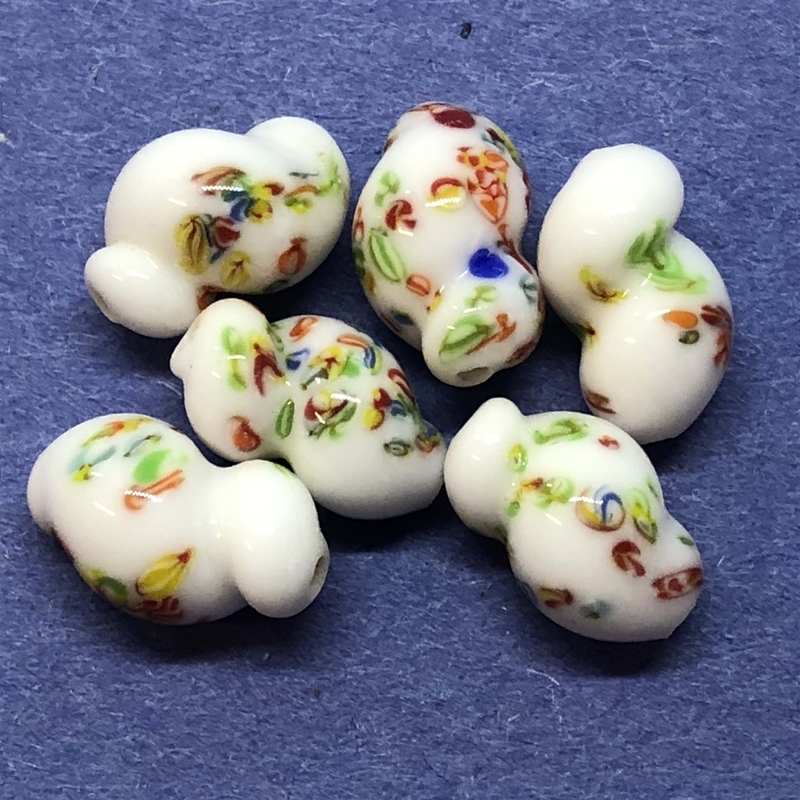 Twisted oval baroque beads in a snail shape are made of opaque chalk white with multi color millefleurs decoration, which is a pattern of flowers and leaves. The Japanese term for this style of decoration is known as Tombo. No two artisan crafted beads are exactly alike. Handmade vintage products can have slight variations in size, shape and color. Made in Japan in the early 1960s. Beautiful twisted oval beads, drilled from top to bottom. Sold by six (6) piece packages.